Anima Advertising is dedicated to identifying, building and expressing the right idea for a brand. An idea that both inspires and endures. An idea that delivers better business results. Anima Advertising employs proprietary research methodologies to assist in decisions whether it be the choice of a new name or package design, the repositioning of an existing brand or the introduction of a new one. Brand strategy is the assimilation of data into the functional, inspirational and aspirational benefits of the brand. Our brand consultants work in partnership with our clients to identify new or hidden market opportunities and to help position their brands for short-term impact and long-term value. 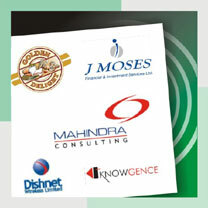 We then help articulate that positioning through a clear and codified brand architecture system. The brand name serves as the foundation of a successful brand and is an asset of enormous value. Effective names project the personality of a product, service or company and should inspire the quality and integrity of what they represent. We also work with our clients to create entire verbal identity systems that project the brand's tone of voice through all communication channels. Brands are dynamic and must evolve with your organization, emerging trends, and constituent needs. We help our clients sustain competitive advantage by "operationalizing" their brands through continuity programs, customer testing, employee training, customer tracking and management, and brand valuation. As a result, our clients build valuable relationships with each constituent group to enable continuous communication and feedback. Ongoing brand management is both a discipline and an art. Xebec employs a number of specialists capable of producing and implementing a multitude of marketing communications material to enable our clients to manage their brands more efficiently while building greater value.